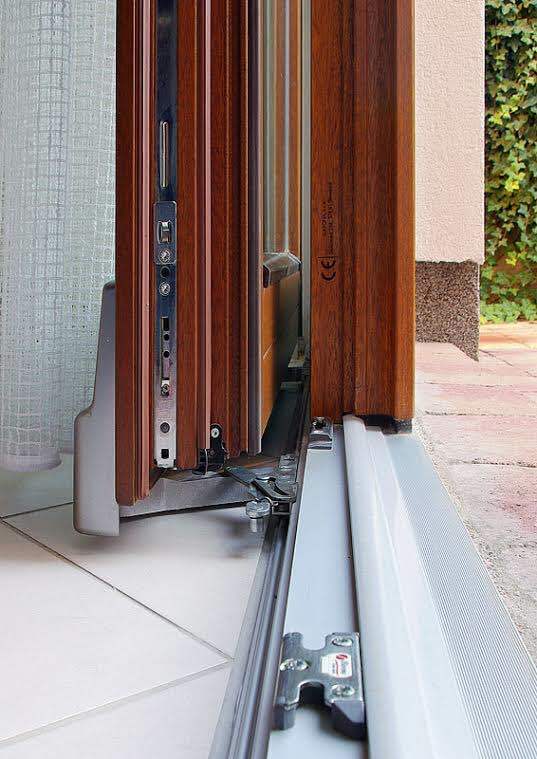 The Unique Parallel Tilt-Slide Door system. Above: A Section view of the parallel-tilt slide unit shows the door in the slide position. 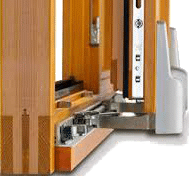 The Parallel Tilt-Slide door unit is becoming more popular due to its unique hardware design and function. Unlike the more popular lift & slide system the parallel tilt-slide design allows for the additional tilt function. 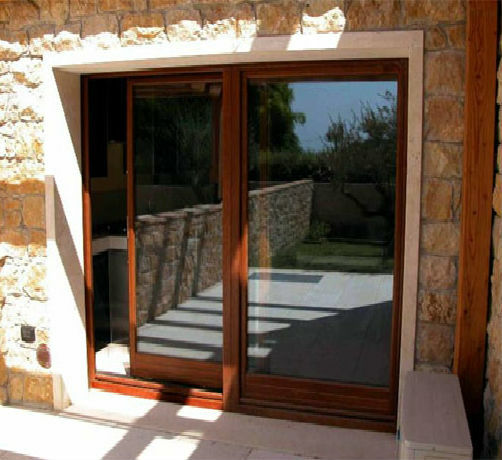 The precisely designed hardware allows the system to function as a combination door and window unit. With a 90 degree turn of the handle the hardware enables the sash to tilt back for ventilation similar to that of the tilt-turn window. An additional 90 degree turn of the handle allows the sash to slide horizontally giving pass-thru access.